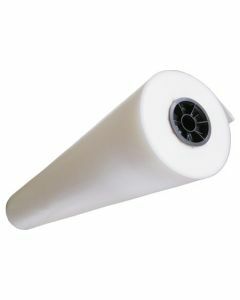 Large 4 Mil polyethylene bags on a roll are perforated for easy tear off. Bag quantities vary per roll. Perfect for packaging frames. Our 4 Mil Heavy Duty PE Bags offer exceptional protection for packaging heavy or bulky items. PR41624 measures 16" x 24" and comes on a roll of 500 perforated bags. Ideal for shipping and storing artwork, collectibles, frames, industrial parts, electronics, and more, this bag provides puncture resistance for abrasive or sharp-edged items. Disclaimer: We cannot accept returns on Bags on a Roll if bags have been ripped or removed from the roll. Our 4 Mil Heavy Duty PE Bags come on a roll and are perforated for easy dispensing. PR42028 measures 20" x 28" and comes with 350 bags per roll. Ideal for packaging artwork, art frames, industrial tools, electronic equipment, and more. These bags are made with superior tensile strength and provide puncture resistant packaging for sharp-edged items. Disclaimer: We cannot accept returns on Bags on a Roll if bags have been ripped or removed from the roll. PR42436 is our 4 Mil Heavy Duty PE Bag that measures 24" x 36" and is ideal for a packaging larger frames, art, and industrial tools and parts. Conveniently dispensed from a 3" core in quantities of 200 per roll, these bags are perforated for easy tear off. The thicker 4 mil polyethylene material is constructed for optimal puncture resistance and support of heavier products. Disclaimer: We cannot accept returns on Bags on a Roll if bags have been ripped or removed from the roll. Whether you are packaging fine art or auto parts, our 4 Mil Heavy Duty PE Bags provide superior tensile strength to protect larger products. This PR43044 bag measures 30" x 44" and provides an easy way to package frames, artwork, books, industrial parts, medical equipment, and more. Perforated for easy dispensing, this roll contains 150 bags. Disclaimer: We cannot accept returns on Bags on a Roll if bags have been ripped or removed from the roll. Our 4 Mil Heavy Duty Bags on a roll offer a convenient way to package large or bulky items. PR44860 is our 48" x 60" poly bag and comes on a roll of 75 perforated bags. These bags are designed with a durable bottom seal and strong enough to hold heavy weight items like artwork, frames, electronics, industrial parts, and more. Disclaimer: We cannot accept returns on Bags on a Roll if bags have been ripped or removed from the roll.